For decades, conservatives have complained about liberal control of academia and the media, often with good reason. Diversity of thought is essential for any institution intent on informing an audience. Students and news consumers deserve better than any information bubble can deliver. Urging these center-left institutions to diversify and guard against bias remains valid. But conservative complaints grow more hypocritical by the day when one looks at the institutions they’ve built…. Conservative journalists increasingly work at conservative publications. Conservative academics increasingly work at right-leaning think tanks or ideologically friendly university departments. Rather than improving epistemically closed institutions, conservatives are building their own. And they’re even less diverse than their allegedly defective mainstream analogues. As I’ve written earlier in this occasional series on “epistemic closure,” I’m not part of the conservative (or progressive) movement, and so have a hard time judging the validity of Friedersdorf’s claim. Do you think that conservatives (or liberals) are increasingly prone to keeping company with the like-minded in separate institutions? There is no longer a leftist monopoly in higher learning or media. The right has successfully built alternatives in both areas. Do these right-leaning entities strive for intellectual diversity? They do not. Fox News is more intellectually closed than CNN. 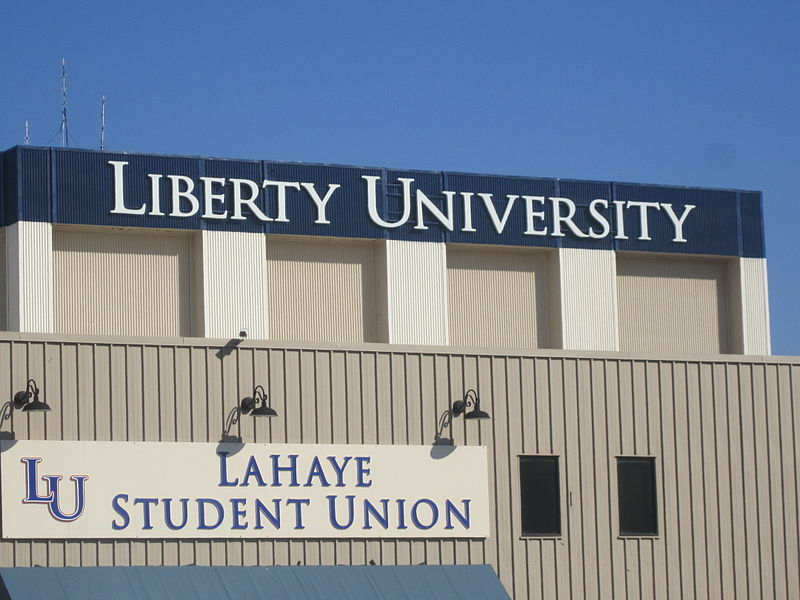 Liberty University is more intellectually closed than New York University. It’s easy to see how this happened. At the start, right-leaning institutions saw themselves as scrappy correctives in fields so overwhelmingly liberal that conservatives couldn’t help but be exposed to analysis, opinions, and critiques different from their own. There’s also a lucrative market for telling conservatives what they already believe. It’s now theoretically possible to go from evangelical homeschooling to a conservative college where debating abortion is verboten to a job at a conservative think tank, reached via a talk-radio-filled commute. And here in Arden Hills, Minnesota, 2012 has seen Bethel University host everything from a Ron Paul rally to a discussion of Christian engagement in Israel and Palestine to yesterday’s chapel talk by Native American activist Richard Twiss. In my Modern Europe class next week, students will encounter Victorian atheists and evangelicals, Charles Darwin and Emile Durkheim, British suffragist Emmeline Pankhurst, V.I. Lenin (whose Communist regime Pankhurst later condemned after she joined the Conservative Party), and French anarchists. All with an eye to “imaginatively understanding” people quite other than ourselves. As for faculty political views… The CT article on Calvin quoted a 2001 survey: 28% identified as conservative, 24% as liberal, and 48% as moderate (or checked “Don’t know”). That seems about right for Bethel University as well. Despite its College Prowler rank as having the country’s 52nd most conservative student body (Calvin is #154), my impression is that our faculty has a relatively equal mix of conservatives, moderates, and liberals (probably not one-third of each, but not too far from that), and even the occasional libertarian or democratic socialist adding zest to the mix. I feel like I’ve heard as many complaints from conservative professors about the lack of right-wing speakers on campus as vice-versa, but I’d also say that most of us are not all that politically partisan and that our students probably aren’t all that certain of how we vote. But that’s purely anecdotal; I can’t find a Bethel survey, or one of the larger CCCU. And it might be my own wishful thinking: I hope it’s clear that I view political diversity as a distinct advantage in a liberal arts institution, but that might color my judgment. For those of you who work at or have attended evangelical colleges… What was your impression of the political culture on campus? Are such schools examples of Friedersdorf’s “epistemically closed institutions” that are “even less diverse than their allegedly defective mainstream analogues”? I would certainly say that when I graduated from Bethel in 2009, it was a fairly even split. I found that many of my fellow students would even identify as moderates as well, at least partially due to the acrimonious and immature relationship that the two sides often have in the media. I wonder, though, how the author would remedy the supposed situation, because it seems to me that professors teach their convictions, and the administration administrates based both on their personal convictions, and often based on the convictions of the public at large (at public institutions at least) or the conviction of the current students. It’s obvious that if teaching is based on conviction, we are at an impasse…because the difference is not so simple as open-mindedness…the issue is the reconciliation of absolutely irreconcilable worldviews. Thanks for the comment, Seth. I might be misunderstanding your point, but three responses… (1) About “teaching… based on conviction”: whatever my own personal political convictions and however strongly they’re held, as a historian I think I’m called to help students understand (even empathize with) those with vastly different convictions. So I don’t quite see the “impasse” at the level of teaching… (2) I think Friedersdorf is simply lamenting that conservatives — rather than seeking institutional homes where they’d regularly engage with competing perspectives — are holing up in their own institutions, getting their news from them, etc. (I think you can certainly accuse liberals of doing the same thing.) I’m just not that sure that evangelical liberal arts colleges are such monochromatic bastions of conservatism. Indeed, I think they’re less partisan than many secular universities. (3) In any event, I should reiterate that I’m talking about political convictions, not religious ones. While I’d probably prefer schools like Bethel to have more of a “mere Christianity” faith screen for faculty hiring, I think that — at some point — such institutions do need to seem “close-minded” if they want to remain, in any meaningful way, Christian. Well, I’d say that we were definitely less diverse than our mainstream analogues… of course; birds of every feather flock together. But would I say that we were epistemically closed? I’d say it certainly varied a lot from student to student and from professor to professor, but the institution as a whole was admirably willing to continue to test beliefs. So… (setting concerns of confirmative bias aside for a moment) what if you continually test a truth/belief via various methods and the answer always comes out the same? Does that make you epistemically “closed”… perhaps close-minded? Or are you epistemically “open”… open-minded? When reading articles like this I fear the outsider might deem the former to be true simply because the outsider can only see the consistent result; the discussions and processes leading to the results are invisible. (Now all that said, I don’t recall that we as a whole were all that politically ardent; mid-terms mattered more than bills). It’s a very important point, David. Moving from politics to religion… I do think that Christian colleges like Bethel owe it to their students to let them encounter critiques of and alternatives to Christianity. But the fact that those critiques and alternatives are often being presented by Christian teachers (the processes), and that the vast majority of the students who encounter them remain Christian (the results) doesn’t necessarily mean that “close-mindedness” is pervasive. I’m just much more confident in the truth-claims of Christianity (more, that truth is found in the person of Christ) than those of any political ideology — which are much less likely to withstand critical thinking in all cases. Chris, thanks for a very thoughtful reflection on a very important (and timely) topic. I intend to share this with my higher ed students because I think it will be helpful to them as they consider how, as future educational leaders, they might think about some of the implications of their work. On another note, one possible source of data regarding faculty and student positions/opinions on some of these issues would be the UCLA Higher Ed Research Institute (HERI) faculty, freshman and senior surveys. I suspect that Bethel administers these on a fairly routine basis and if they do, they probably also have the CCCU results. I’m sure that someone in the administration or your assessment coordinator could provide these results and a number of the items would be relevant to this discussion. Thanks, Tim. I hope it’s helpful for your students! HERI did come to mind (I’ve taken part in at least a few versions of it), but I wasn’t quite sure if those results were meant for public consumption. But it can’t hurt to ask! Thanks for the suggestion. When I attended Bethel in the 1960s, I would venture to say we were mixed in our political sentiments. Vietnam War influenced our thoughts about politics. Most of us wanted to avoid the draft and were frankly afraid of what might occur to us personally. At the same time we felt we had to do what was expected of us because of expectations of our families and churches. This was before the Tet offensive; that occurred while I was in the US Army. Perhaps some of my memories are clouded by time and current sentiments; but I believe most of my fellow students tended to be a little left of center politically while conservative in their faith. The liberal leanings were related mostly to a disdain for compulsory military service. I recall that Eugene McCarthy addressing the Student body in 1964 (I had to look up the date). That was pretty open-minded for what was an overall conservative college.